along with a performance by Tony Conrad, the world premiere of Rhys Chatham's Essentialist, and the opening of Leif Inge's 24-hour concert "9 Beet Stretch"
A solo performance consisting of Land’s 16mm film projections, three 16mm magnetic audio tracks, contact microphones, reel-to-reel audio player, guitar amplifiers, video projection and other elements to create a visual and sonic environment. Time-lapse 16mm images of rural locations are accompanied by multiple audio tracks from the rural setting. 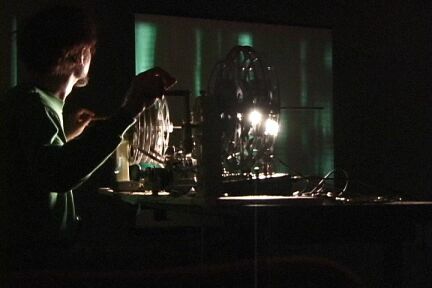 Robbie Land's Cine-performance is a Film Love event and is part of the Table of the Elements Festival #4.